As a short filmmaker myself, I always love to see short films. It's unfortunately a rare opportunity, typically only during film festivals, but once a year the Academy Awards nominate the best animated and live action shorts, and these are brought to select theaters as a single billing. These are often more varied in style, tone, and country of origin than all the other nominations, which makes for an interesting set of films to watch. But let's get to what you're all wondering–which one should you bet on at your Oscar Party? Here you'll get reviews on each short as well as an overall review on the series, as you can see at a local art cinema if you're lucky! This is the shortest of the shorts, but is very fun. 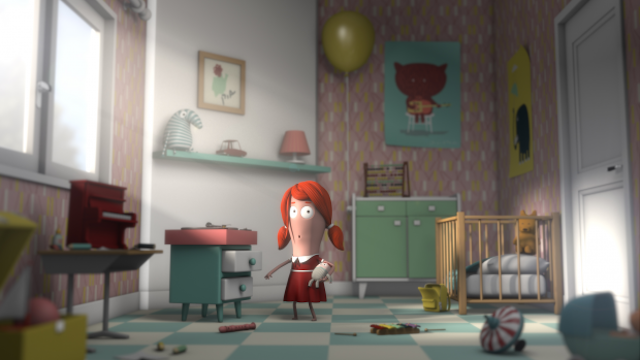 It's a CGI story of a woman who finds that by turning a record she can go backwards or forwards in time in her life. It has a pretty standard animation style, but where it lacks in uniqueness it makes up in great visual gags through silent storytelling. Since it's only a few minutes, its hard to describe fully without spoiling the clever jokes, but suffice to say its one of the funnier shorts in the bunch. This has the most unique visual style, combining flat painting with 3d elements in a really interesting way. It's also the most dramatic, telling the story of two very different brothers dealing with their mother's descent into illness. It utilizes some really cool surreal transitions as it visually recreates the feelings within the characters' heads. 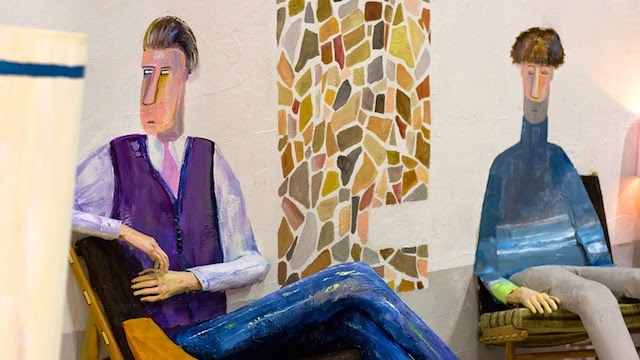 It's thematically one of the meatier shorts, but because its style is so distinctive it almost takes a repeated watch to get past the sheer glee of watching such unfettered creativity. While this is the longest, its touching story makes it go by almost too quickly. 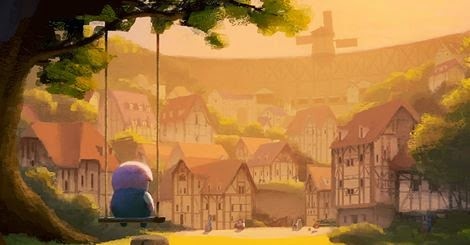 In a village of animals, a young pig is charged with winding up the windmill that keeps the endless soot clouds away, but he is an outcast at school until a new girl shows up in his class. It's largely silent, relying nicely on classic storytelling techniques and a sweeping orchestral score to hit its surprisingly emotional beats. The painted style is very interesting, and although it could probably do without the opening and closing narration, it's a wonderful and original tale of childhood friendship and responsibility. As the opening short for Disney's Big Hero 6, there is a high bar set, placing it among many past Oscar winners. 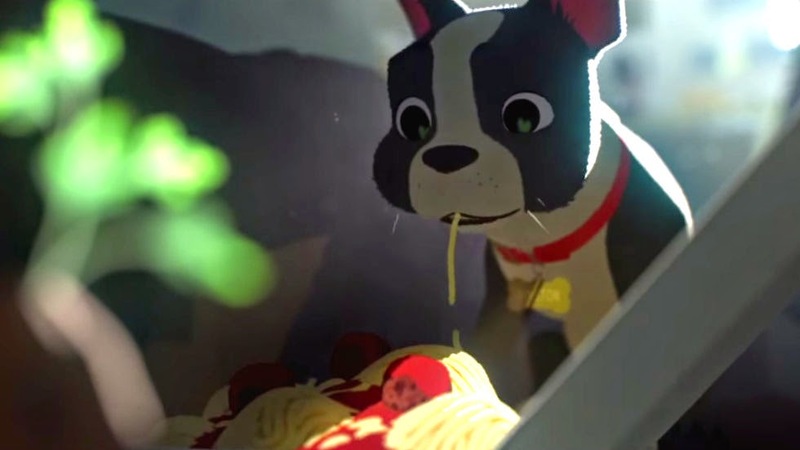 The story of a man's life as told in the background through his puppy's meals is an odd idea, but it works beautifully, and is animated in a gorgeous cel shaded 3d style. As with all of Disney's shorts, it's exceptionally well crafted, with wonderful matched cuts and clever editing, and it's cute and heartwarming to boot. It's a hard-to-hate short film! Having won in the same category in 2007 for The Danish Poet, Kove returns with a personal story that is presumably from her own childhood in Norway in the 1960s. It's done in a beautifully simple style reminiscent in it's defined line and bold colors of something like Tin Tin. 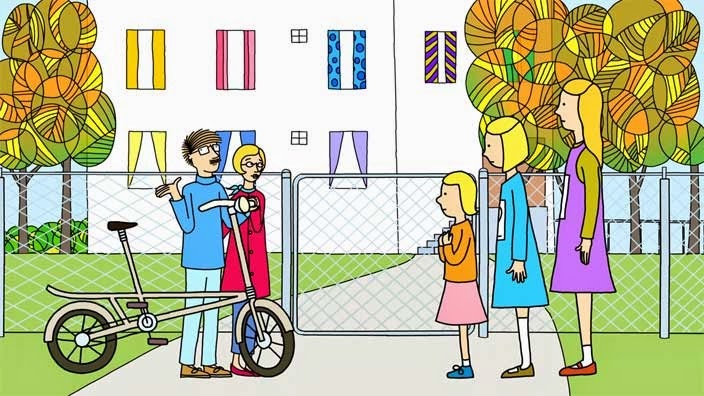 Taking place over one season, it very accurately captures what its like to be a kid and how you can have a strange relationship with your parents: sometimes it seems like they're just doing things for themselves–or just to be embarrassing. It's funny and feels eminently familiar in a way that is comforting and very entertaining. This is probably my favorite; I would watch a feature film of this in a heartbeat! Overall, it's a great bunch of shorts. As I mentioned earlier, this is sometimes–particularly in a year of deplorable feature nominations–where real unique talent gets a chance to shine. The variety here is off the charts; none of these have anything in common, from the style to the subject matter. I would highly recommend checking these out in a theater if you get a chance. With any luck, we'll see a few of these filmmakers move on to creating the next great animated feature film! The Oscar Nominated Shorts blocks open in Landmark Theaters on January 30th.